US-backed Syrian Democratic Forces (SDF) rebels vowed to "retaliate" in case of Syrian army's attack on their positions in Raqqa. The statement comes following the US-led coalition's downing of a Syrian army jet in the area. The SDF claimed that the Syrian government forces have recently been "mounting large-scale attacks" on their positions near Raqqa. "Since June 17, 2017, the regime's forces…have mounted large-scale attacks using planes, artillery, and tanks in regions liberated by our fighters during battles for the city of Tabqa and the Euphrates Dam three months ago," SDF spokesperson Talal Selowas said on Facebook. 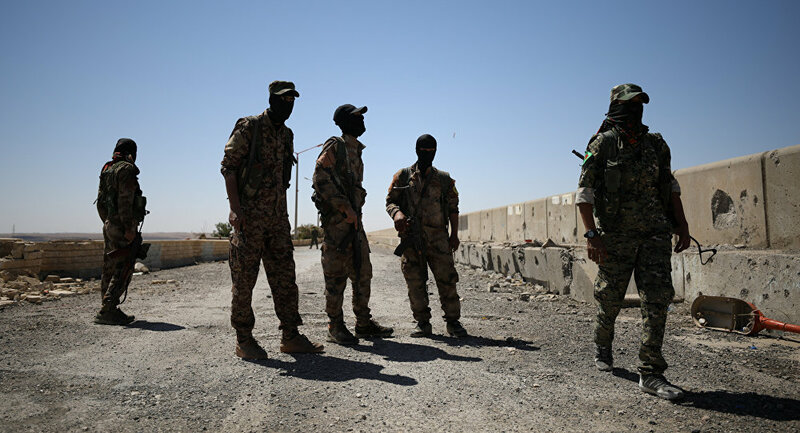 Later, the coalition confirmed the information saying that it shot down the Syrian government forces' Su-22 aircraft as it had allegedly been bombing in an area where the SDF were stationed, south of Tabqa in the Raqqa province. The US-led coalition called its attack on the Syrian army's jet "collective self-defense," adding that it contacted the Russian military to de-escalate the situation after the incident. The coalition's attack came after three US-led coalition's bombings of Damascus' allied forces in al-Tanf in southern Syria. The city of Tabqa is located some 40 km west of Raqqa. The Tabqa Dam is the largest in Syria. On May 10, the SDF announced that Tabqa was fully freed from Daesh.